I know for sure that I can fly ! 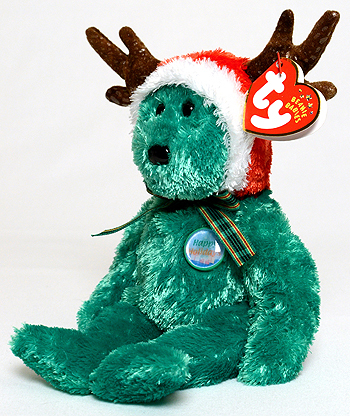 2002 Holiday Teddy was the first to have a hologram pin on its chest. Two different pictures are visible when the button is moved. 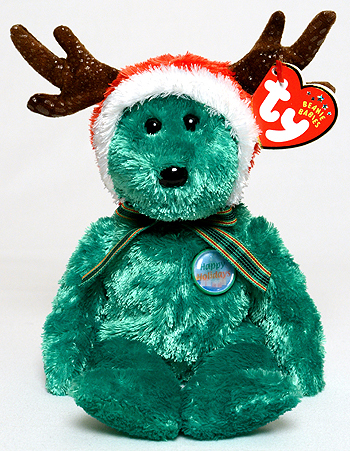 One image on the button shows the phrase "Happy Holidays" and the other image shows a Christmas tree with presents underneath.